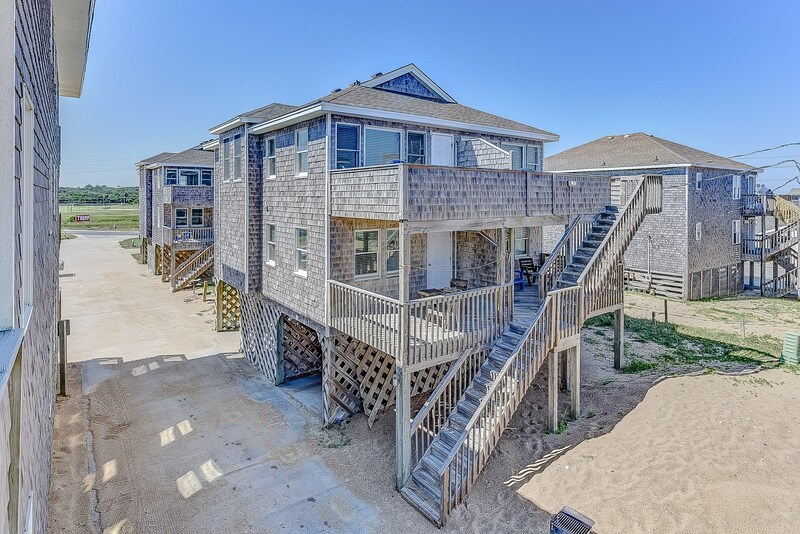 A mere 50 yards from the beach, this side-by-side duplex Villa boasts good views of the ocean from the 2nd and 3rd level decks. A bright and open kitchen, living area, and half bath are located on the upper living level, which opens to an ocean side deck. 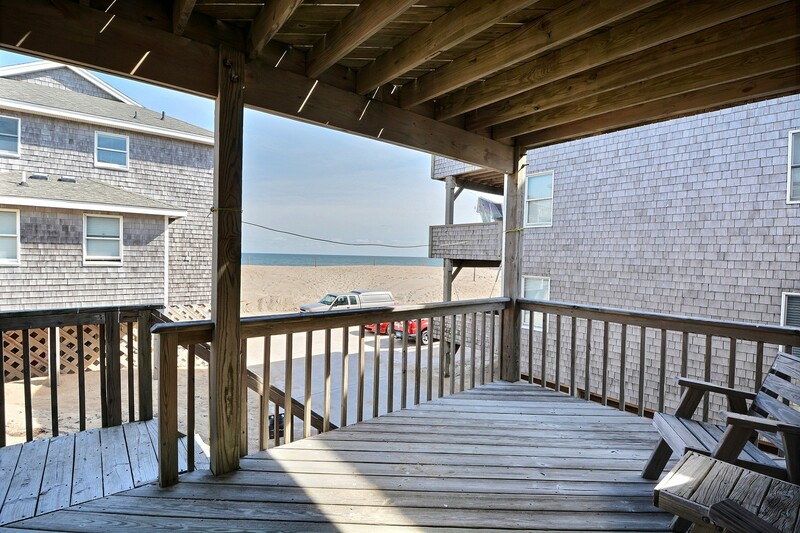 Enjoy your morning coffee with an ocean view! Villas accommodate up to 6 people and include a master suite with king bedroom and a queen bedroom that opens to the lower deck and shares a bath with bunks located in the hallway. Under-house private entry and parking and outside hot/cold showers make this the perfect choice for a relaxing vacation.